Car tax changes: What do you need to know? Reforms to vehicle excise duty (known as car tax or road tax) were introduced on 1 April 2017, which could have a significant impact on the rate of tax you pay for a new car registered on or after this date. Earlier changes (introduced in October 2014) mean you're no longer required to display a tax disc in your car. But if you’re selling your car or buying a used vehicle, there’s more you need to know. What are the latest car road tax changes? Most cars in the UK are subject to vehicle excise duty, a type of tax that is charged in bands based on a vehicle's CO2 emissions. Drivers are currently required to pay a first-year charge of up to £1,120 for new cars, and then £20 to £515 per year for as long as they own the car, with the amount charged depending on the car's emissions. Some cars are exempt from road tax, including electric and extra low-emission vehicles, cars used by disabled drivers, classic cars over 40 years old, and cars that are declared off-road with a statutory off-road notice (SORN). But new rates are being introduced that will change the amount charged to tax new cars — with some being much more expensive than before. All cars registered after 1 April 2017 will be subject to the new tax rates, which can be found here. Drivers can choose to pay for their tax in a single 12-month payment, a single 6-month payment, or 12 monthly payments. 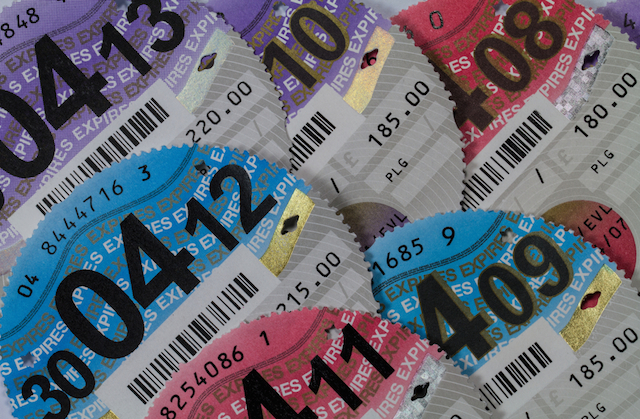 So how do these car road tax changes affect you? The new car tax rates should make no difference when you sell your car. But the changes brought on by the scrapping of the tax disc in 2014 may be new to you if you haven't sold a car since then. In the past, sellers could make some extra cash out of a car sale if the vehicle still had a few months’ tax on it — this is no longer the case as the tax will automatically expire as soon as the car is sold. To avoid misleading any potential buyers, you should no longer advertise your car as taxed, even if you've only just paid for a full six months' or years' tax. The new rules don’t mean you’ll lose out on tax you’ve already paid when you sell your car — you’ll automatically be refunded any full months' tax remaining once the ownership of the car has transferred (or if the car has been scrapped or declared off-road). If you paid a surcharge for buying 6 months’ tax, this extra fee isn’t refundable. If you're planning to buy a new car, you should carefully consider how the new tax bands will affect the amount of tax you have to pay. While the new first-year tax charge and flat-rate for cars may work out cheaper for some models, it will be more expensive for others. You might find that there's a big difference between taxing a car registered in March 2017 and one registered in April 2017, even though the cars are just days apart in age. You can find out how much vehicle tax you have to pay here. If you're looking to buy a new car soon, you might want to compare the current and new tax bands and act quickly if it would work out cheaper to buy a car registered before 1 April. You might also want to consider buying a pre-registered car to avoid the price hike (or wait until after 1 April if your chosen car will be cheaper to tax on the new system). Here's an example of how the car tax changes could affect you if you're looking to buy a low-emissions car — we've looked here at the Skoda Citigo 1.0 MPI S 60PS. The car has official CO2 emissions of 101g/km, putting it in tax band B. Under the current rules, the Citigo is free to tax for the first year, and £20 per subsequent year. Over five years of ownership, a new Citigo (registered before April this year) would cost its owner just £80 in tax. For the same model registered after 1 April this year, the figures are quite different. The first-year rate for is £140, followed by a standard yearly rate of £140. Over five years, a newer Skoda Citigo would cost £700 in tax. You could avoid the latest tax changes if you buy a new or used car that was registered before 1 April 2017, so it will be subject to the old tax bands found here. But if it's been a while since you bought a used car, be aware that taxing a used car has changed since the tax disc was scrapped in 2014. As well as insuring your car, now you must also make sure you tax it before you drive it away. You can do this using the new keeper supplement on the V5C (logbook), which you should receive from the seller as part of the transaction. Once you have the 12-digit reference number you can tax the car immediately by phone or online — the service is available 24 hours a day, seven days a week. Alternatively, you may decide to pay a deposit in exchange for the new keeper supplement, then tax and insure your new vehicle before returning to collect the car at a later date. The DVLA’s car tax system is designed to make it as quick and easy as possible to tax your vehicle, whether you’ve just bought the car or are renewing your tax. To tax your car online, visit the gov.uk car tax page and follow the instructions. It should take just a few minutes and your car tax will be valid instantly. Alternatively, you can call the automated phone service on 0300 123 4321 or visit a Post Office branch to renew or buy car tax. To tax your car, you will need the 11-digit reference number from your V5C or your reminder letter if you’re the registered owner. If you’ve just bought the vehicle, you’ll need the 12-digit number on the new keeper supplement. You can choose to pay for your car tax upfront for 12 months or 6 months, or there’s a new option to pay monthly by direct debit for a full year’s tax. Once you’ve taxed your car, don’t forget to search for a better deal on your car insurance. Get started by comparing below. Is Your Car Insurance Valid?